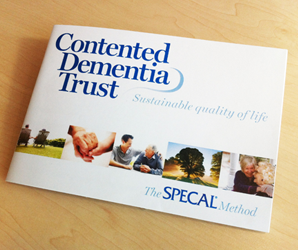 The Contented Dementia Trust has produced a variety of written and audio-visual material about the SPECAL method. Key resources are listed below. 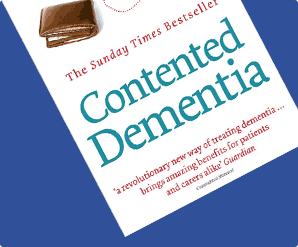 Copies may be obtained by contacting us at info@contenteddementiatrust.org. The charges cover our printing / photocopying costs plus postage & packing. We will email you an invoice which has our BACS details to enable you to make a secure online payment. Garner, P (2008, 3rd Edition) The SPECAL Photograph Album. Windrush Hill Books. Hawling. This report provides an explanation of what dementia might be like to live with, day by day, for the person with dementia. It uses the analogy of a photograph album to represent how memory functions. This explanation underpins all SPECAL care principles, which are now known as ‘SPECAL sense’. 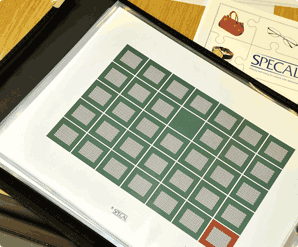 The SPECAL Photograph Album is central to the development of the SPECAL method, a comprehensive system which incorporates a number of therapeutic approaches to enable well-being to be sustained on a lifelong basis. N.B. If you require a number of items, please email info@contenteddementiatrust.org and we will send you an invoice requesting payment via BACS which will reflect a reduction in price for combined postage (UK only). These findings provide direct evidence that a feeling of emotion can endure beyond the conscious recollection for the events that initially triggered the emotion. 2. ‘A SPECAL place to keep’ in The Journal of Dementia Care, Vol. 12, No. 3 May/June 2004. Hawker Publications Ltd, London. 5. ‘Where person-centred care’s a given’ in Brooker D, Edwards P. and Benson S. (eds.) Dementia Care Mapping: Experience and insights into practice. London, Hawker Publications Ltd.
10. ‘A multi-method evaluation of an independent dementia care service and its approach’ in Orrell, MW and Blazer, DG, eds Aging & Mental Health, Vol. 5 No.1, pp.63-72. 11. ‘A SPECAL way of maintaining well-being in dementia’ in Journal of Dementia Care Vol. 8, no. 5 pp.20-24. 13. ‘Involving older users in education and evaluation’ in Elderly Care November 1999 vol. 11, no. 8, pp 15-17. 14. ‘Listening to Enid’ in Elderly Care, vol. 10 no. 4, pp.12-15. 16. ‘The SPECAL Treatment’ in Working with Older People vol. 9 issue 3, pp 28-31. 21. “Quality in Health Care” Quality in Healthcare September 1997 Vol. 6 No. 3 pp 146-152. This paper covers Alzheimer’s disease in the UK: developing patient and carer support strategies to encourage care in the community. R Hunter, L McGill, N Bosanquet, N Johnson. 22. “Dementia: A new way to treat it” The Times 3rd August 2009. An article regarding the SPECAL approach to dementia care and how professionals are taking notice. Run time 92 minutes; available in PAL.